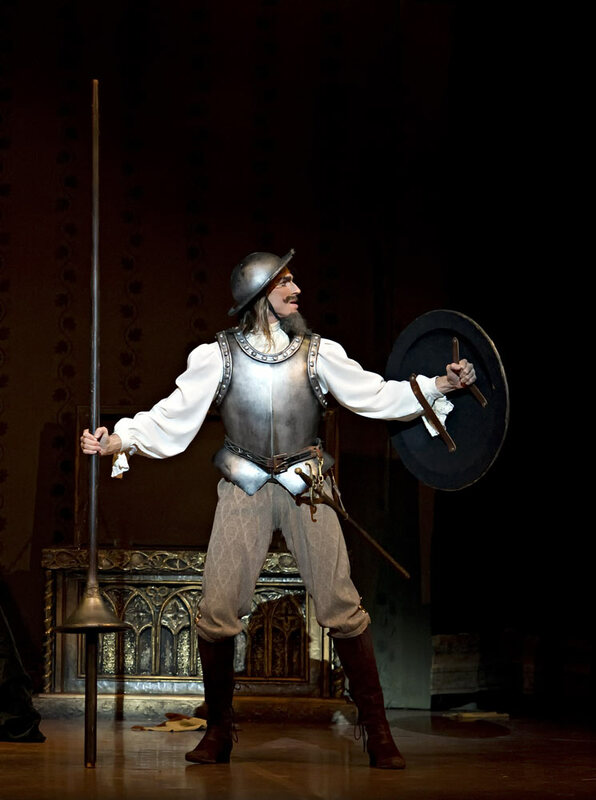 Boston Ballet opened the Maina Gielgud version of Don Quixote at the Boston Opera House recently, evoking echoes of historical importance. Nureyev created his version of the ballet for the Vienna State Opera Ballet in 1966 and then staged it for Boston Ballet in 1982 while also performing the role of Basilio. According to local dance lore, it was that production that put Boston Ballet on the map. Ever since, the company has merited international attention and been considered one of the four leading ballet companies in the United States (along with American Ballet Theatre, New York City Ballet, and San Francisco Ballet), although it’s admittedly the Cinderella of the group because of its much smaller company and much smaller budget. 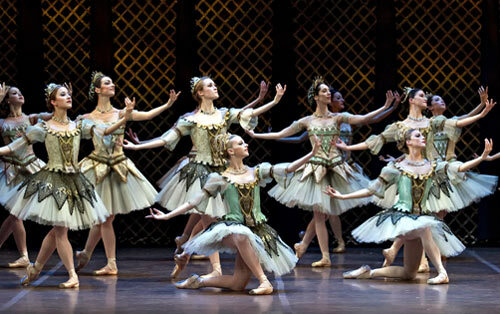 A new production of the Nureyev Don Quixote is thus always a special event in Boston. The ballet invariably delights audiences while critics and dance professionals often treat it with disdain. Both points of view are easy to understand. From the critics’ point of view, it’s a mongrel piece of work, a hodge-podge patchwork quilt of a thing. The score, attributed to Minkus, contains the work of other composers as well, especially Drigo, and the choreography, which in this case is credited to Nureyev, actually comes from many sources, not least Petipa and then Gorsky. As a friend recently characterized the ballet, “Minkus, Drigo, Drinkus. Petipa, Gorsky, Getipa, Porsky.” The form of the ballet is also a problem: originally a four- and then a five-act ballet, it became a three-act work in the 20th century, but only by adding a middle act which is mere filler, an excuse to turn a shorter work into a full-length evening ballet. The filler (a gypsy camp, the Don’s skirmish with the windmill, and his dream of an enchanted world of women embodying his chivalric fantasies) does nothing to develop character or further the plot. Those who like their art pure are offended by such a mixed-breed creation. On the other hand, audiences adore the ballet because it’s a fast-paced frolic set to hummable, dance-friendly music whose many characters and events provide ample opportunity for lots of bravura dancing. And it’s got lots of everything for everyone: comedy, drama, romance, intrigue, betrayal, danger, and the lovers’ wedding at the end. Besides, you have to have a heart of stone not to be moved by the figure of Don Quixote, surely one of the most poignant figures in world literature. The Don can be a danger, however, because of the temptation to portray him as a two-dimensional buffoon. Happily, in this extremely intelligent setting of the ballet by Maina Gielgud, the Don is portrayed with great dignity and sympathy, and on opening night Carlos Molina gave the best performance I’ve ever seen. You never doubted for a moment that for Molina’s Don, the figments of his fevered imagination were compellingly real. Molina gave the ballet the soul it needs to rise above the level of burlesque entertainment. The opening night leads were equally good. Misa Kuranaga and Jeffrey Cirio gave nearly flawless performances as Kitri and Basilio. Kuranaga is a mere sylph of a woman, as light as a spring breeze but with a technique of steely precision, and the visible delight she takes in dancing is infectious. As for Cirio, I’ve never seen a dancer improve so much so quickly. He grows from production to production, and whereas last season he was a capable second and then first soloist, he was a perfect choice for the opening night Basilio. Both dancers displayed uncanny balance in their final pas de deux , and their leisured extensions of arm and leg were things of great beauty. They make a terrific couple. The brilliant Kathleen Breen Combes was a last-minute substitute in the role of Mercedes, and she was exemplary, combining mischievous charm with the proper amount of Spanish hauteur. As her Espada, however, Yury Yanowsky disappointed. For some time now, the energy flags when he appears on stage. He can be first-rate when he chooses, but he often seems distracted while half-heartedly going through the motions. All the other dancers gave top-notch performances. Paulo Arrais was the epitome of vanity and foolishness as Gamache, while Rie Ichikawa and Dalay Parrondo as Kitri’s friends and then Tiffany Hedman, Whitney Jensen, and Keenan Kampa as the dryad trio showed yet again how strong the women are in this company. At the second performance, the leads were performed by Kathleen Breen Combes and James Whiteside, the best woman and best man in the company. Combes is a transcendent presence and a very large one. Technically superb, she is doubly charismatic, filling all her roles with a vitality and conviction that extend to the furthest reaches of the theater. She is quite simply one of the best ballerinas I’ve seen in over half a century of attending ballet. Her Kitri was sultry and mercurial, mesmerizing even when observing the action from the sidelines. Whiteside is a good match for her, also technically strong as well as a good actor. He took a nasty spill in his first variation (one of those awful falls that keep repeating themselves) but recovered nicely and went on to give an excellent performance. The two of them have become the star couple of the company, so it’s with some sadness that I report Whiteside will leave at the end of this season for an appointment with American Ballet Theatre. At the third performance, Lia Cirio and Lasha Khozashvili were last minute replacements for Erica Cornejo and the newly promoted Paolo Arrais. Cirio and Khozashvili keep improving in my experience. Cirio’s Kitri, created with broad strokes, was the most joyous and jealous of the three I saw. Cirio always pleases with her technique, so solid that you could chart a plumb-line from her pirouettes. Khozashvili is also technically impressive and was the most dashing of the Basilios. The elegant Sabi Varga was easily the best of the Espadas, and the presence of Whitney Jensen, Dalay Parrando, Keenan Kampa, Dusty Button, and Tiffany Hedman in various minor roles provided additional delight. The men deserve praise too, for overall I’ve never seen the dancers in better form than in this production. The extremely handsome sets and costumes were by the brilliant Nicholas Georgiadis, one of the best set and costume designers of the last century. And I’ll close with more praise of Maina Gielgud. I’ve never seen a ballet she’s set that hasn’t been absolutely first-rate. Boston Ballet has performed her Giselle for many years now and it’s easily my favorite Giselle, just as this production is now my favorite Don Quixote.